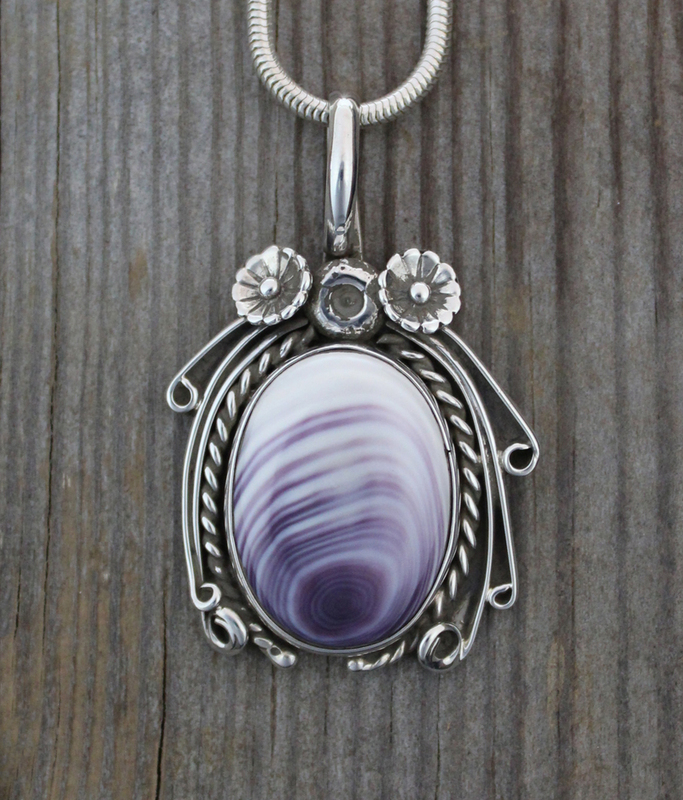 This handcrafted Wampum Pendant is hand-cut by Cherokee Silversmith General. B Grant. 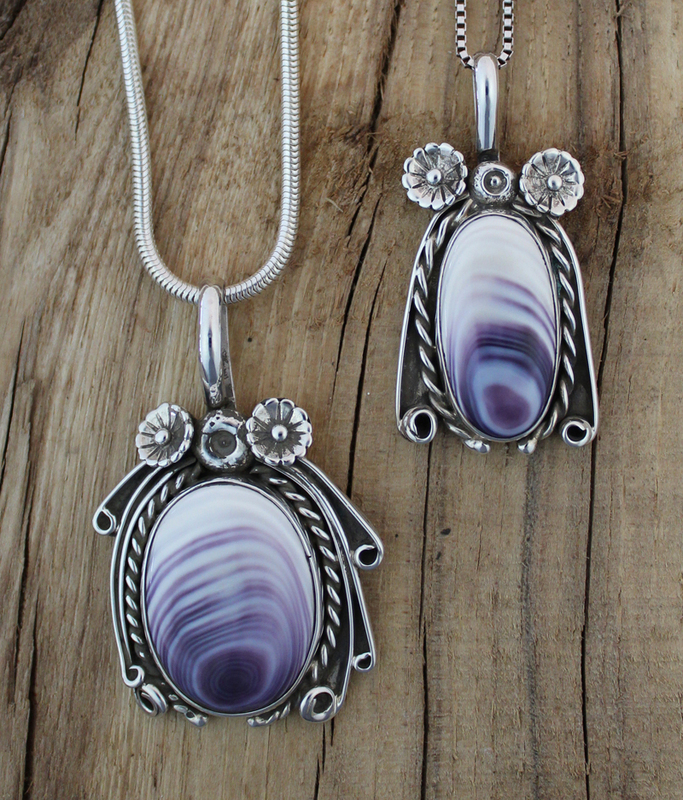 Set in a playful Sterling Silver Design that enhances the color and flow of the Wampum.